Combining history with stunning water views, a talented chef and an interesting modern Australian menu, the Dunalley Waterfront Café makes for a pretty fantastic restaurant. 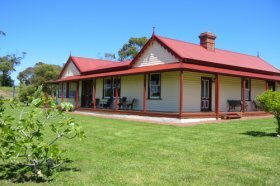 Located within the Bream Creek Vineyard in Tasmanias South-East, this cosy cellar door is famed for its seasonal menu and gourmet pizzas, topped with fine regional produce. 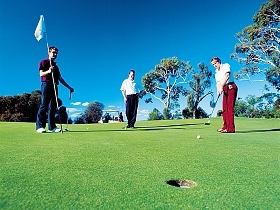 Place Categories: Dine in Tasman & The South East.Place Tags: arthur, beach, breakfast, cafe, dining, dinner, dunalley, eat, lunch, port, port arthur, restaurant, sorell, tasman, white and white beach. 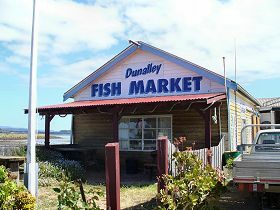 Fresh fish and seafood - live if possible - is the philosophy of Dunalley Fish Market.